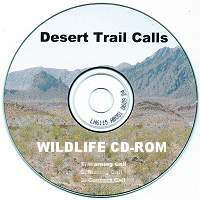 This audio CD-Rom is very effective for calling all kinds of predators such as Bobcats, Coyotes, and Foxes. Contains 63 minutes total of loud, clear actual baby cottontail screams and squalls recorded in the studio. Digitally mastered. Track 1: 45 Minutes of an Intensely Screaming Baby Cottontail, Track 2: 18 Minutes of a Disturbed and Agitated Baby Cottontail. The Predation Fox Hunter Mini Caller offers five distinct grey and red fox reproductions. Great for calling in those call shy fox for a closer look. This caller really arouses their curiosity. Produces the terrified scream of a small rodent. Used to coax coyotes and other predators in close after they have been called in by a long or medium range call. The squeaker is a useful tool for calling to bring coyotes and predators in close. It is higher pitched than the D-3 coaxer. Calls red fox & coyotes. Young fox cries call grays & coyotes. Calls coyotes, fox & other predators. This rugged-reed call delivers unparalleled reliability and performance in the field. Easily reproduces the sounds proven effective on both gray and red foxes. Attract the immediate attention of bobcats, foxes, coyotes, and raccoons. Produces the loud, gravelly scream of the rabbit in distress. 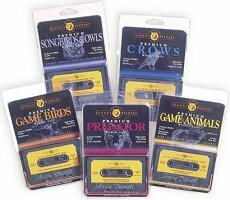 Great for extra-long range calling in open country or for windy days. This call has been known to bring in predators from well over a mile. 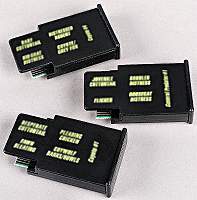 Constructed from polyethylene, a hard, durable plastic-like material which is nearly indestructable. Produces the high-pitched scream of a cottontail rabbit in distress. It's most effective in wooded areas after the jackrabbit call is used to start the predator your way. 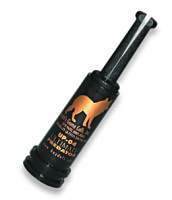 Very effective in coaxing game within camera, gun or bow range. 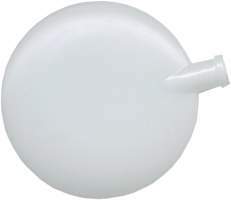 The Circe Squealer has a higher pitched voice and produces less volume than other Circe calls. Especially designed for calling bobcat, coyotes and fox in close in dense cover. Constructed from polyethylene, a hard, durable plastic-like material which is nearly indestructable. Simple to use, reproduces high pitched screams of a distressed cottontail. Great for close-in or for long range calling. Good for all predators. Attracts raccoons, bobcats, foxes and predators. Reproduces the high pitched squall of a raccoon. Excellent for locating. 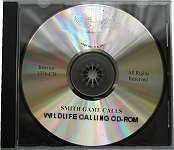 This audio CD-Rom is great for calling coyote and and other predators as well as squirrel. Over 60 minutes total playing time. 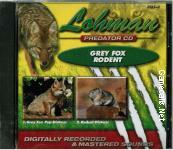 This CD-Rom includes the following on 4 tracks: Distressed Rodents (105A), Red Fox & Cottontail (110C), Grey Fox & Red Fox Fight (113C) and Squealing Bird (116A) sounds, specially formatted for CD. Note: This is not an instructional CD but actual recordings of these animals which really entice red foxes. Digitally Recorded & Mastered Sounds. Includes the following three tracks: Grey Fox Pup Distress (20 minutes), Rodent Distress (20 minutes) and Rodent Distress Coaxer (20 minutes) for a total of 60 minutes.